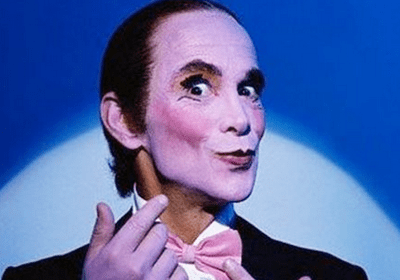 Joel Grey coming out today in People Magazine. It was different for a man of his generation. Growing up in Cleveland, Ohio, the son of noted actor-comedian Mickey Katz, Grey remembers “hearing the grownups talk in the next room, my mother included, talking derisively about ‘fairies’ and men being dragged off to jail and even worse for being who they were.” At about the same time, he says, “I came to realize, along with being attracted to girls, I had similar feelings for boys.” Grey didn’t reveal his truth for many more years to come. He was married to actress Jo Wilder for 24 years, a period he calls “the happiest of my life.” Together they have two children: actress Jennifer Grey and son James, a chef. “I feel very happy for my dad that he has come to a point in his life where he feels safe and comfortable enough to declare himself in a public way as a gay man,” Jennifer tells PEOPLE. “I don’t like labels, but if you have to put a label on it, I’m a gay man. All the people close to me have known for years who I am. [Yet] it took time to embrace that other part of who I always was.” Grey said. Which I am sure was especially easy well after your career is over and you are 82 years old.